Are you one of those people who lay down after eating a large meal? Are you a coffee or tea lover? Do you love carbonated drinks? Do you eat before bed time? Do you smoke or drink? Do you love chocolates? Do you love fatty or spicy food? Do you love fruits that are rich in acid? If you answer yes to all these questions then you are one of those people who will likely experience acid reflux symptoms. 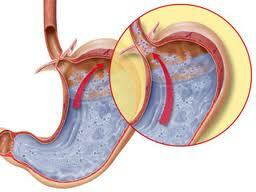 Acid reflux happens when the tube that separates our esophagus from our stomach malfunctions. Those that are mentioned above are the few causes of acid reflux. It is a normal condition, for people experience it once in a while but if you are experiencing it often and often then it is time for you to visit your doctor. It might not be a simple acid reflux case anymore; it might be a symptom of a serious medical condition like Gastroesophageal disease, also known as GERD. GERD is a disease that can be treated but it needs to be detected immediately. GERD can lead to a more serious condition like esophageal cancer. These symptoms can become very annoying and turn your lifestyle for the worst so it is extremely important to keep them in check via lifestyle changes as well as medication.